It’s been a while. I’ve been hoping to get someone with WordPress experience to help me fashion this thing into what my vision of Musical Conversations, as a web page experience, should be. Lacking that, I’m stuck trying to figure out something that is completely alien to me. I never did MySpace well, though I Live Journaled quite nicely I think. Now, in this world of Facebook and what seems to be very little else, I’m trapped trying to get things rolling on this site. So, if you’re reading this and you know Word Press, come on! Help a guy out, okay? So here’s what’s happening… Musical Conversations continues to be and is doing well. It’s 24/7 with break-ins to go live on at least every Tuesday night at 9pm Eastern, as the show, Musical Conversations. Preferably I’d have guests in and we’d talk music all night long, playing music and having such a wonderful time that when it comes through your speakers, you’re a part of the conversation also. Yeah, it’s like hanging out with your friends that love to talk music… and nothing is out of bounds in that conversation. Since it’s on the internet, it’s interactive, which means you can chat with us. Sure, I’m still working out the kinks of using the audio connection with JK Audio’s “Daptor Two”, which lets me take calls, though I’m also anxious to have someone test it out with me. Please! Help me set that up! In other words, be in touch, okay? Beyond Musical Conversations on always, and live on Tuesday nights… I do also break in whenever I’m able so I can broadcast… because I can! Wouldn’t you? And why wouldn’t you? And you should be listening. It’s a lot of fun and yes, interactive. Charlotte, NC is home and so “local” or “regional” music to me is now of course of the Carolinas. There is a tavern called “Pint Central” on Central Avenue. I’m there on Sunday nights, from 8pm Eastern until midnight, playing “Local Sundays” – music of the Carolinas. I’ll also occasionally include an artist that has been on Musical Conversations, though they may not be from the Carolinas – yet that is an infrequent inclusion. The local free weekly newsprint arts & entertainment/nightlife rag in Charlotte has stopped publishing. I’m looking to revive my short-lived, yet awesome publication, “WTF-CLT?? ?”, which stands for “Where’s The Fun, Charlotte?” – not what you think it stood for, huh? Get your mind out of the gutter. My magazine was a monthly, who knows what’s to come? This new incarnation may be named something else, it may be at a different publishing schedule, it may include an awesome online contingent… again, who knows? When I do, I’ll let you know. Mikaela and Dan from the band “Falling Through April” are coming in for Musical Conversations tonight (that’s Tuesday, February 20th). We’re going to explore their recently released album “Zodiac”, and everything else as we do on Musical Conversations. Tune in at 9pm Eastern… and use the Chat option as it is working. And… look for updates and a lot of catching up happening here. Also, special thanks to Ed Bunker of NoProblem! PR & Marketing for making/facilitating the connection. The first band performing at the Carolina Rebellion 2017, was “As Lions”. That’s Austin Dickinson on vocals. He’s Bruce Dickinson’s son, and yes he of Iron Maiden. Also in for the interview was Will Homer. As I found out, they’ve been friends for years. I found Austin to be an amazing interviewee, after I found him to be an amazing performer. Not often do I get to talk with a band after seeing them perform and as they were on as early as they were, there was no chance to talk with them prior. Listen to the interview, they’re new at this, yet having fun! A gentleman and a scholar, is it too cliche to say he’d make his father proud? OH! And listen to the music. 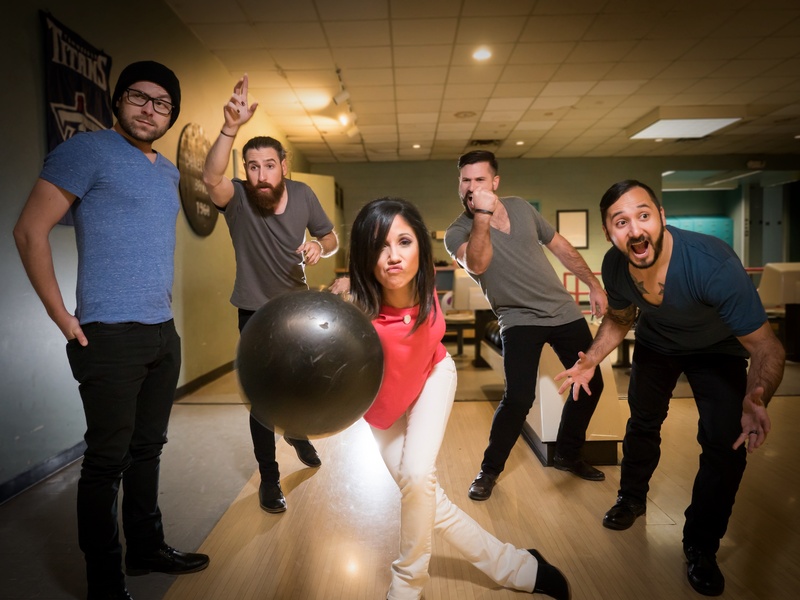 As Lions have a great sound and their style of composing the songs truly shines through – listen to the interview to see what I mean. Evolving from Musical Conversations, with Heather Gaffney-Darnell as the guest, reading tarot cards as a way to look to where we are at, here at the beginning of 2017, as well as what we’ve got in store for us throughout the year. The Conversation turned, as Musical Conversations tends to do, into a playing of music that matches and expresses the concepts being explored through the cards. This will be a regular feature on Musical Conversations and we’re calling it Tarotunes. 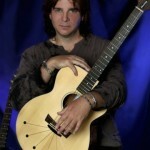 Musical Conversations 170 – with Billy Sherwood of Yes, Circa, Lodgic and his own solo projects (among many others as well). I had the extreme pleasure of having Musical Conversations with Billy Sherwood, the current bass player in Yes, though he is so much more than that! His album, “Citizen” was released and we discussed it and his other projects, plus we talked depth about the band Yes… including the future of the band. This is episode 170 of Musical Conversations on Plaza Midwood Community Radio. It’s a shortened version without most of the songs. Musical Conversations has not been updated for a while and I’m lax in doing my part. It’s still here, and those who listen regularly can attest that it’s going quite strong. No updates does not mean nothing’s happening and yet it also means that it seems nothing is happening. Let me change that by updating. First thing is the idea of an image, a logo, a recognizable icon to represent Musical Conversations is in order. If I’m doing this right, I’ve set it as the “Featured Image.” And so the inquiry is, “what do you think of it?” Let me know via the normal methods of getting in touch with me. 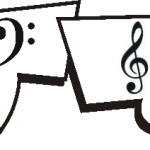 Welcome to the new Musical Conversations web page! Check out the pages and let me know what you think. Join the chatroom (a new feature) and talk with me on Tuesday, starting at 9pm Eastern. 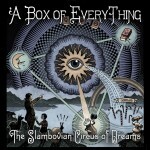 Joziah Longo and Tink Lloyd talked with Stan about their album “A Box Of Everything” and many, many other topics. Okay… Being that I not only write the Charlotte Live Limelight article, I also do Musical Conversations on Plaza Midwood Community Radio ( pmcradio.org – Saturdays at 2pm ). I’ve had the opportunity to not just see bands perform, I also interview them as well. That’s what Musical Conversations is about. Recently, I saw a band perform an acoustic set, then on two other occasions I saw them play (and plugged in), then got to sit down with the front man and talk music, influences and everything else, at length and in detail. Jake Haldenwang of his band, Halden Vang, sat in and we talked. Musical Conversations allows for the extended conversation style interview that I’ve not heard anyone else be able to do. This will air on April 18th on PMCR. The acoustic performance was at Iron Thunder Saloon, near Concord Mills Mall. I’ve always felt that when you take your music and turn it around, retell it on acoustic instruments, that you’ve got not only a good grasp of your music, you’re also expressing your creativity and ability as a musician. When Halden Vang performed an acoustic set and still had the place enrapt by the performance, that’s when I knew I had to see more, see another performance, see them plugged in. My feeling about when a band takes their music and presents it toned down and acoustic is one that is obviously shared by others, otherwise that performance television show, Unplugged, wouldn’t exist. Next time I saw Halden Vang, it was at the Rockin’ Kids First benefit show in December at Amos’ Southend. Though there were many other bands on the bill, it was an all day affair after all, Halden Vang stood out and rocked, quite comparably to other bands that would be considered headliners, such as Grey Revell’s Roman Candles and Grown Up Avenger Stuff. Even to the point of overcoming an equipment failure, the band kept on. That means to me that the key isn’t solely with the one that the band is named after. It means that the other two, as it is a three piece band, also have the wherewithal and stage presence to overcome any adversity. That to me is where a band’s potential lies. 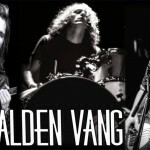 Halden Vang, in addition to Jake Haldenwang on guitar and vocals, also has Jordan Mattacchione on bass and backing vocals, and Andrew Marcadis on drums and backing vocals. Two more shows very recently. One was a send off fan appreciation party at the Evening Muse. This time they played only two songs from the EP, “How About Now”, and then did two cover songs. The older pieces were strong and kept the packed room engaged, yet still had the element of freshness and that’s because the material is strong. The new songs also fall into that category, this performance was to showcase that work, and what I witnessed was an evolution of the band as songwriters and musicians. The emotion that pours out of not just Jake, also the entire band when they’re on stage, is palpable and fills the entire room. This is especially the case with their choice of covers, “The Chain” by Fleetwood Mac, which they blueseyed up, and also “Purple Rain” by Prince. This was a night of amazing music. So their music is based in the blues, yet with a heavy rock feel. Some of my personal favorite bands are three pieces and I’m always amazed at how they create such a full sound. Halden Vang not only does that well, the filling out the sound, there’s also the delicate element that is key to the blues. The thing is that I can’t call them a blues band. Yet, they’re more than just a rock band. When each member has a good singing voice that is distinct from the other members, you’ve got great harmonies and the ability to present various vocal stylings that often occur within the same song. With today’s musical landscape, having a distinct sound is important, also having the ability to be diverse really makes for a strong band. With the variety of styles to pull from and present, the best description I’ve heard of their music is by Jake himself, and that’s that they’re “Retro-Relevant”. Meaning that they bring in an almost lost sound from a few generations worth of great music, and yet still keep it relevant to today. Most recent performance I caught of Halden Vang was again at Iron Thunder. Besides having to wait until the game was over, they performed for a good solid three hours or so. The length of their performance allowed them to explore music that they’d just worked on and some music they had just worked through – meaning some originals and some covers. As in earlier in the week they worked out how to perform songs like “Babe, I’m Gonna Leave You”, most popularly done by Led Zeppelin (very few know it’s originally a Joan Baez song – Jake knew that though which impressed me further). The Iron Thunder Saloon, though it’s a bike bar, it’s also a sports bar and what got me was their performance stopped the place in its tracks. Completely redesigning the Musical Conversations web page to make it easier to use, listen and communicate all around. 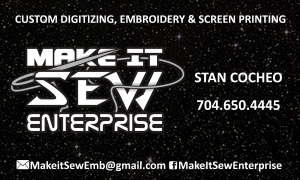 Thanks to Blake Carpenter of Dragon’s Blood Web Productions for his work on this site! First thing is the easier method of listening. Upper corner, click and listen. Easy! No struggling with web addresses or media players, it’s there and tells you when it’s not on and more importantly, when it is on. Next is that it’s a place for the Charlotte Live Limelight articles that are being published in the free monthly newsprint arts and entertainment magazine, Crowd Surfer. New articles are available online a month after they’ve been published in print. Archives is where old episodes are available of Musical Conversations, to hear or download to listen to later as a podcast. Another upgrade is that there’s now a chat window available! This way there’s one location for messages so listeners can join the conversation. As this develops, there will be more, including a calendar of events and guests.